Manu Dibango is a music legend.Even though he's 83 years old, talking to him and seeing him (even through Skype, but with camera on) you feel that you talk to a very vivid man, who fully lives every day! Smiling, with plenty of humor, noble and 100% gentleman! 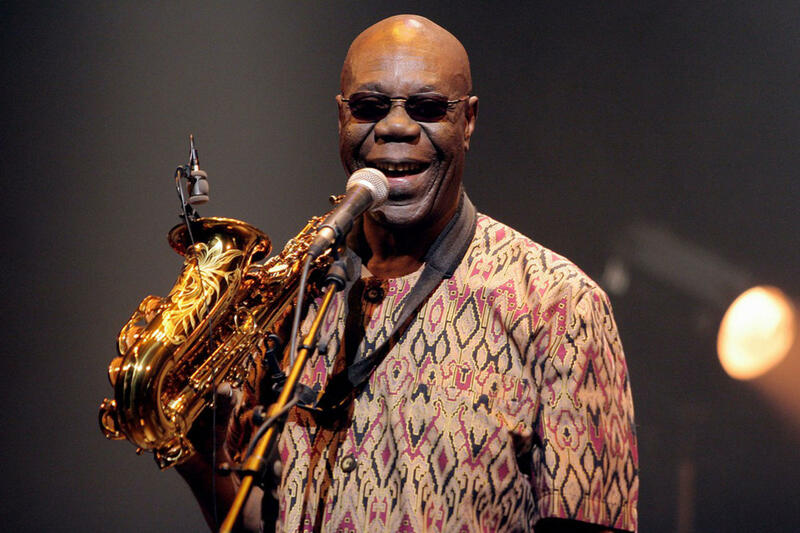 On Saturday 21st of January, Manu Dibango will be at gazarte. I think he will give another sold out concert in our country! And he deserves it! George Baliotis: Mr. Dibango, this year you will be 60 years in music. So many years! Will you celebrate it with a special event? 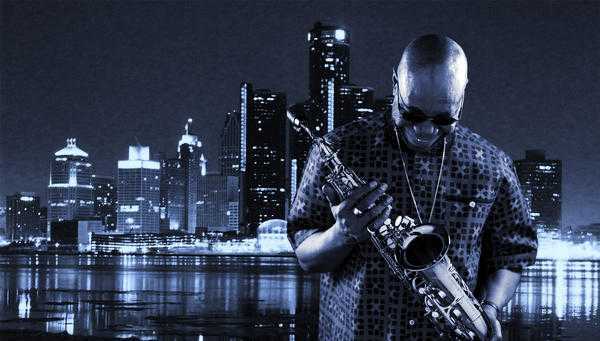 Manu Dibango: No, no. I just play music. I’m celebrating every day I’m happy to be able to play music. Yesterday, I had a very good concert in Paris and I really enjoyed that. So I hope that every day I have the opportunity to share my music with people. GB: 83 years old, but still on fire when you are on the stage. Can you please share with us a special moment from the concerts you have given throughout all these years? GB: Having so long experience, do you write music in a different way than when you were back in the 70s etc? MD: Yes of course in the 70s we didn’t have Internet… (laughs) The way people are listening to music today is really different than the one they were used to do at the past. In the 70s we had records, but now they are no more records… At that time we had to save some money to buy records. Listening to music from Internet, you are not so touched and have less sensualite. Now, the way to approach music is different, the technique is very different. When we started writing music, there were not so many types of keyboards we have right now. Everything technically has been changed. Of course, saxophone is always the saxophone. Trumpet is always the trumpet. All the horns are still the same. You can’t put electronics to the saxophone. With Internet you have everything in your computer in real time. GB: Is it better now than what it was at the past? You have seen the progress in music from 60s to nowadays. What was the best decade for you and why? MD: That’s nostalgic (laughs). It’s different, everything changes, your body changes… I cannot roll now like I was rolling before (laughs). GB: But you do it. MD: The inspiration, everything changes. I’m getting old, my body changes and the only thing I care is the love and the passion for music, which is the same for me. GB: Do you feel that nowadays there are no limitations in musical styles by music lovers? For example there are no opinions like the one that English people should play English music, whereas African musicians should play African music etc. MD: Yes, people are freer now, because we can hear different new music at the real time. That’s what we call music now. It was different at the 70s. Everybody was in love with the American approach of music. At the past you had to go to Jamaica, Cuba, Brazil and Africa. Now you have all this mix of material at the same time, so it’s up to you to compose and mix these different music styles in your mind. Now you can say that you want this cha-cha-cha and this funk flavor in your music etc. 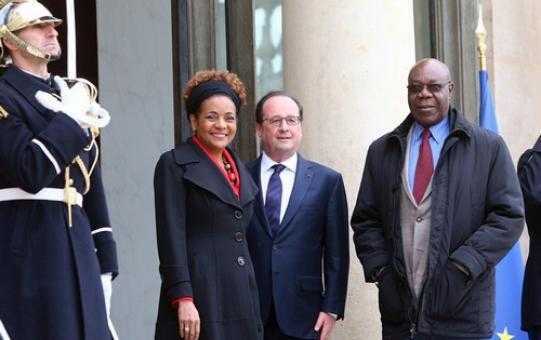 GB: You had a meeting with French President Hollande, before Olympic Games in Rio. What was your impression of your collaboration with OIF (International Organization for Francophonie) in Olympic Games? MD: There are many, many countries in which people use French language. Cameroon, Kongo, Canada, Belgium etc. We tried to unite them and show the diversity of each of them. Many people came together and the only common thing we have is the language. We shared their differences. In Brazil we played music with a band (Orchestre National du Brésil) which has musicians from different parts of Francophonie and it was very, very interesting for me to share it with Brazilian people. It was a good opportunity to have such events and this kind of expertise. GB: What do you want to say to your Greek fans for the show in gazarte on Saturday? GB: Thank you very much for your time. It was an honor for me. MD: Thank you! See you in Athens. 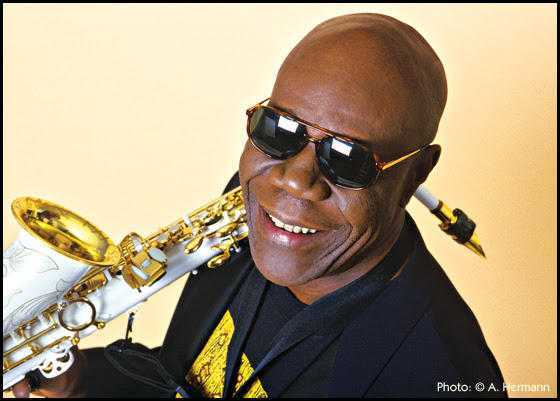 Read more about Manu Dibango concert in gazarte, in Athens! Mathematics, Telecommunications, Music, radio from 1994 (now on Tuesdays 8-10 pm @ MindRadio.gr), responsible for radio station "Horos 94,2", chief editor at "Horos ZIN" magazine, chief editor at Mix Grill from 2008. Harakiri for the Sky: "Our name stands for the urge to free yourself in a world full of rules and compulsion"